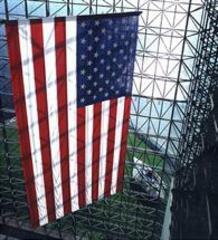 JFK Library forums recorded and edited down to roughly 52 minutes each. A script with suggested language for reading in and out of each program is included. There are no internal breaks. Every year, the John F. Kennedy Presidential Library and Museum offers a series of public affairs programs to foster public discussion on a diverse range of historical, political and cultural topics. The forums are free and open to the public, and conducted as conversations rather than lectures. Panelists include major political figures, historians, journalists, and newsmakers. Each discussion concludes with an audience Q & A. While edited to length for broadcast, care is taken to preserve the integrity of the conversation. There are no internal breaks. Scripts for reading in and out of each program are included. Recorded at the JFK Library on January 25th, 2009. Recorded at the JFK Library on January 27th, 2009. Recorded at the JFK Library on January 19th, 2009.